Here is a link to the DOJ announcement about this. That’s pretty slick, and also rather scary. In the case of Full Tilt, Pokerstars, Ultimate Bet and Absolute Poker it was different – the DOJ for the most part were handed their asses on a platter. 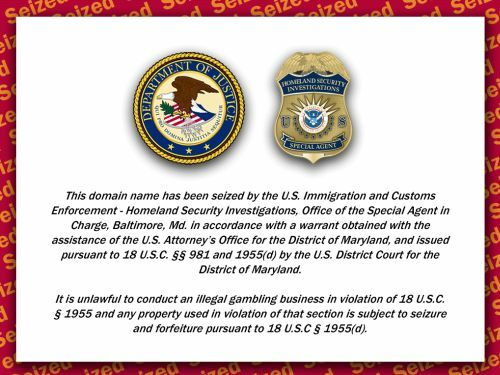 In this case they were actively going after specific online gambling websites. At this time, there’s no way to know the future of online poker in the USA. Of course, the usual speculation is bound to happen about the future of the two key networks, Cake and Merge, but it’s ultimately impossible to judge the future of these networks. The positive is that a lot of this has been in the works for years – so it’s not like the DOJ are making a list of the biggest US poker rooms and then going after them one by one. So it’s not a case of “We got Full Tilt etc, who’s next?”. The negative is that based on everything in that announcement, they have been actively working for years behind the scenes to take down certain online gambling websites. So there is absolutely no way for anyone to say with any certainty whatsoever that Merge or Cake are “safe”, because we have no idea what payment processors they have been dealing with. The one thing you need to take out of today is that for the most part, online poker(and possibly gambling as a whole) in the USA is pretty much over. Who knows – maybe it actually isn’t. Maybe all the current US poker rooms, casinos, bingo halls and sportsbooks will continue for years to come. I honestly think there’s a good chance of that. But is that really something you want to gamble with? Diversify. And fast. Then if the worst happens and the likes of Merge, Cake or any US rooms you promote go down, it’s just a “bump in the road” rather than the “end of the world”.